Today’s movie theater attendance dilemma isn’t your ordinary exodus. Similar to brick and mortar video shops in the early 2000’s, movie theaters are experiencing a similar phenomenon—the unexodus. Rather than people leaving and heading elsewhere, they’re simply staying put and enjoying themselves from the comfort of their own homes. It’s not a matter of subpar content, but simply one of convenience. Movie theaters have tried varying tactics to combat this, like allowing texting in certain AMC theaters, but are consumers really going to feel like paying $15 for a movie ticket just for the added benefit (or distraction) of texting? I find that pretty doubtful. The only way theaters will be able to combat this dillema is through the consumer experience. It’s hard to beat the warmth and comfort of watching a movie from your own couch. The truth is, I need a reason to go to the theater because I have an HD television and adequate sound system that do a damn good job at keeping me entertained. What I don’t have is an experience that a movie theater can provide me. I’ve never been an avid theatergoer, but I appreciate the novelty of the big screen. With that said, I’ll go to one, maybe two, movies a year in theaters—one of those being my annual Jew on Christmas tradition. There needs to be a stronger pull or I, and thousands of others, will remain couch potatoes. 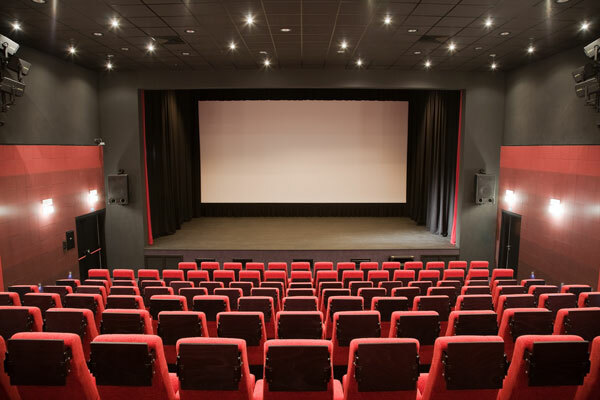 Movie studios are no strangers to experiential marketing and are, in fact, one of the model industries for integrating it into their promotional strategy. The campaign by 20th Century Fox and Tracy Locke for The Simpsons Movie is a perfect example. By transforming 711 stores into iconic Kwik-E-Marts, flush with movie branding and popular food from the show, they created nostalgia and made you want to relive The Simpsons in the theater. Examples like this however, are few and far between, and something many studios still fail to embrace. Even still, the Simpsons example was done in order to create buzz and awareness of the movie, rather than create incentive to view the movie at the theater. Publicity is great, but it doesn’t make a ticket less expensive or the theater experience less cumbersome. Consumers need a reason to go to the theater. For The Simpsons Movie, it could have been as simple as giving away tickets to shoppers of Kwik-E-Mart stores or those purchasing Simpsons-themed items. A simple incentive can go a long way. There aren’t many things that carry the allure to draw me into a movie theater, but one thing that could is exclusive content. We can catch trailers and various promotions online, but what about something that only attendees can enjoy? I’m talking about exclusive interviews, actors’ special workout programs, or even deleted scenes. What guy wouldn’t want to see 300 in theaters if it meant they could acquire Gerard Butler’s personal workout plan? I would be first in line! How about an exclusive interview with Jared Leto on how he gets himself in the mindset to play the Joker in Suicide Squad? That would certainly pique my interest enough to see a live viewing in the theater. Consumers anywhere like to feel special, and this is one of many ways to do so. Exclusive content is one way to draw me to a theater, but special events at the theater can create similar or greater anticipation. Realistically, big events can only be implemented at a few select theaters, but imagine the excitement it could generate at those select few. I’m talking about an exclusive virtual reality experience where you could travel the world through the eyes of Iron Man or take a walk in Ant Man’s world of giants. Maybe a ticket purchase on-site gets you a free DVD purchase of your choice or entry into an exciting sweepstakes. No consumer likes to experience FOMO, so by creating an ancillary experience they can’t get anywhere else, you make it hard for them to say no.